Work History & Experience Steven A. Ward graduated from Oregon State University in 1978 with a Bachelor of Science in Civil Engineering. He joined Westech Engineering, Inc., upon graduating from OSU. Steve was named President of Westech Engineering in 1988, and purchased controlling interest in Westech in 1990. Steve works in both public and private sectors, focuses mainly in planning, city engineering, project development, design, agency coordination, contract administration and construction management. His experience includes municipal, land use, wastewater, water, drainage and street projects. Work History & Experience Mr. Yarnall joined Westech in 1984. His expertise spans all facets of municipal engineering. John’s extensive experience in planning, design and construction of low operation and maintenance wastewater collection, treatment facilities and pump stations. With his broad-based knowledge of wastewater facilities planning to meet current EPA and Oregon DEQ requirements and his experience in cost estimating and construction, John frequently serves as senior reviewer and value engineer on Westech’s wastewater projects. Work History & Experience After completing graduate studies in 1992, Denny Muchmore joined Westech Engineering, Inc. Denny is experienced in all facets of municipal engineering and currently serves as the City Engineer for several communities in Oregon. Denny’s specific areas of expertise include planning, review, design and construction of City and privately funded municipal engineering projects. His experience includes design and review of streets, storm drainage systems, sanitary sewer collection, pumping, treatment and disposal, as well as potable water distribution, pumping and storage facilities. 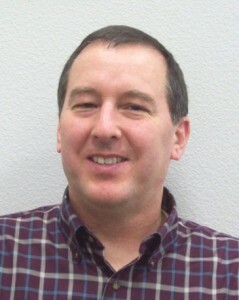 Work History & Experience Ray Engel graduated from Oregon State University and joined Westech Engineering in 1995. Ray has experience in planning, design, project coordination, construction administration, and master plan preparation for a wide variety of site improvement, street, and utility projects for the public and private sector, as well as the design of wastewater and water pump stations. His projects include both undeveloped sites as well as redevelopment and rehabilitation projects and he has coordinated with local and state level jurisdictions, including OYA, DOC, DOT, DEQ and DHS, to develop plans consistent with Owner needs and jurisdiction requirements. Work History & Experience Christopher (Chris) Brugato graduated from the University of California at Davis and joined Westech in 1999. Chris is experienced in the planning, design, project coordination and construction of a wide range of municipal infrastructure improvements, with an emphasis on public water and wastewater utilities. Mr. Brugato has specific experience in the planning, design and construction of water treatment, storage and distribution systems as well as wastewater collection, treatment and disposal facilities. Chris also has experience working with several state and federal grant and loan programs such as Oregon’s Department of Environmental Quality Clean Water State Revolving Loan Fund, USDA – Rural Development Loans and Grant Programs and several programs administered by the Oregon Economic and Community Development Department. Work History & Experience Mr. Blumanthal stared his engineering career in 1993 and joined Westech in 2009. Mr. Blumanthal is experienced in the planning, design and construction of potable water distribution, pumping & storage, wastewater collection, pumping, treatment & disposal, as well as storm drainage systems, including planning, project development, design, project coordination, contract administration and construction management. His experience includes street projects for both the public and private sector. Work History & Experience Josh Wells graduated from Oregon State University and joined Westech Engineering in 2005. His experience includes planning, design coordination and construction management of residential and commercial subdivisions, industrial expansions and commercial and industrial site work projects. He excels at storm water quality design associated with projects and has had experience with a number of different jurisdictional water quality standards.